Are you ready to have your world turned upside down? Enter a new dimension with these mind-blowing IMAX giveaways. 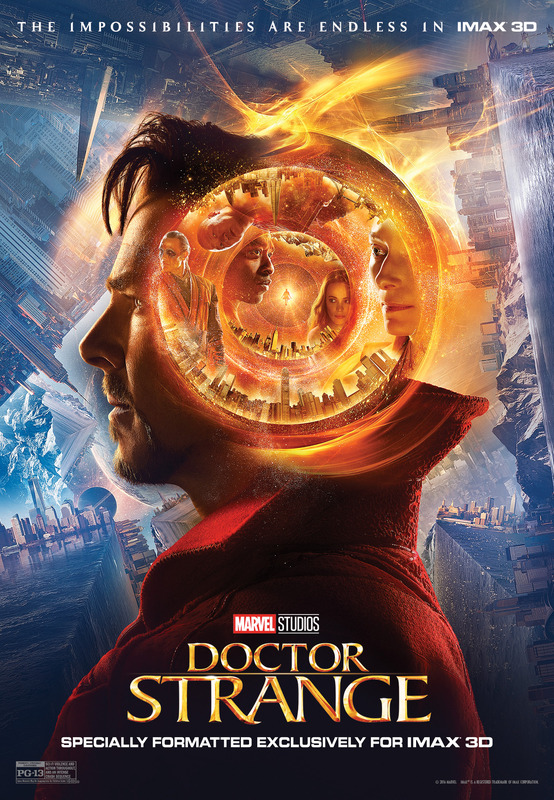 AMC Stubs Members, see Doctor Strange in IMAX on 11/3 & again on 11/13 to get an exclusive poster designed by Randal Roberts! See it in IMAX at Regal Cinemas on 11/3 and 11/12 to receive collectible tickets designed by Paolo Rivera. For all other IMAX locations, see it in on 11/3 to receive an exclusive poster. Giveaways are available while supplies last. Check with your local theatre for details. Doctor Strange is specially formatted exclusively for IMAX 3D. The impossibilities are endless on 11.4.16. Get tickets HERE!